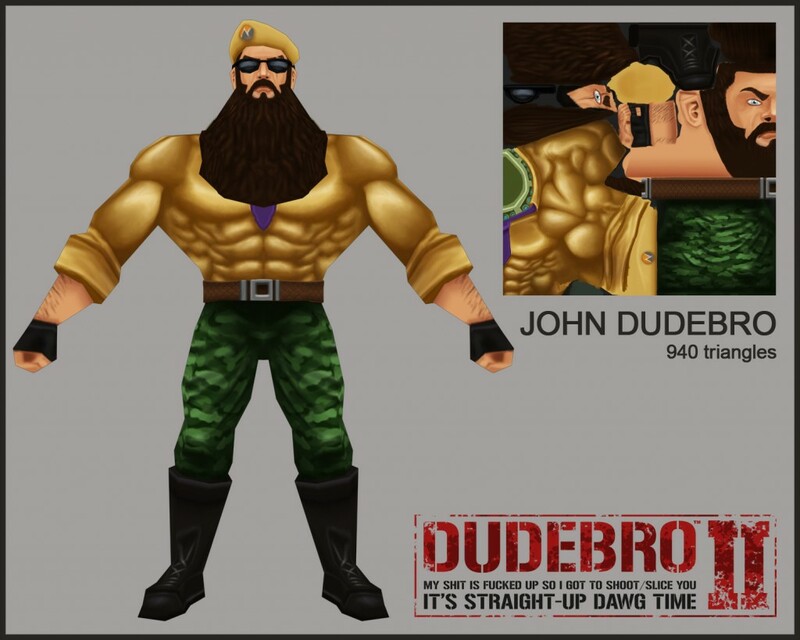 The game may be using 2D sprites, but here’s a 3D model of the man himself in all of his brodiocity. John Dudebro, strong of his 940 brodacious triangles, ready to embark on another glorious adventure. This entry was posted on Monday, September 6th, 2010 at 6:59 am	and is filed under Main News.